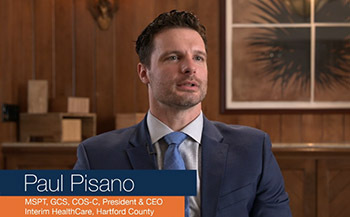 The 2019 HIMSS Conference & Exhibition, held February 11-15, 2019 in Orlando, brings together 45,000+ professionals from around the world for five days of education, innovation and collaboration to help uncover the promise of health information and technology. No other conference brings this level of world-class education, cutting-edge products and solutions, and unique networking opportunities aimed at solving the country’s biggest health information and technology challenges – all at one time, all in one place. The event features 300+ education sessions, 1,300+ vendors, hundreds of special programs, and endless networking events. HIMSS19: Where the Champions of Health Unite. Discover the HIMSS Interoperability Showcase – a premier 30,000-square-foot exhibition that demonstrates the interoperability imperative for connecting health and care. Learn more about innovative solutions as you interact with vendors and kiosks, and exchange ideas and best practices with interoperability experts and other attendees at networking events. Witness impactful and live demonstrations of how Interoperability saves lives and improves outcomes. Demonstrations are shared between 6-8 different organizations and show how standards-based interoperability supports collaboration. 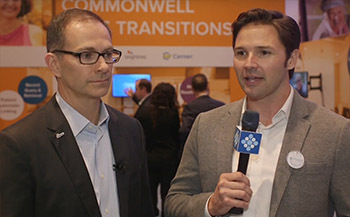 Last year, we successfully demonstrated Direct Secure Messaging and CommonWell Network Services in home health and home medical equipment provider scenarios. This year, we are excited to demonstrate nationwide coordinated care capabilities with several other vendors. Our demonstration should offer a great glimpse into the power of nationally scalable interoperability and how this can benefit our customers in the health care continuum. David, 43, from rural Washington, is diagnosed with high blood pressure. Months later, David suffers a stroke. Once stabilized, his community hospital ED transfers him to a larger medical center where he is admitted, treated and discharged to home care, avoiding readmission. Later that year, David moves to Texas and establishes a new PCP. Regardless of where his care occurs, David and his providers have access to his health records nationwide via CommonWell Health Alliance, resulting in positive health outcomes. You can visit the mobile app to arrange your tour in advance; walk ups are also welcome. 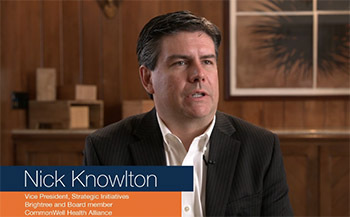 Information for Media: Nick Knowlton, Brightree’s vice president of strategic initiatives, will be onsite at HIMSS and available to field questions on the company’s commitment to interoperability between post-acute and primary care providers. To arrange an interview while at the conference, contact Melissa Polly, senior marketing manager for Brightree’s Home Health, Hospice & Private Duty business line, at mpolly@brightree.com or (678) 243-7987. Simply complete this form or call us at 1-888-598-7797 and we'll set up a convenient time to walk you through Brightree Home Health and Hospice software.